If you were in Downtown Dallas this night, there’s a good chance you were one of two things: 1.) A Dallas Stars fan who was either going to a bar, or, if you were lucky, the arena to watch the playoff match or 2.) You were a fan of the Atlanta, Georgia-based Manchester Orchestra, who happened to be playing the House of Blues. Either way, you would be seeing something that isn’t an everyday, or rather every year thing. And yes, I fit into that latter category. Those lucky enough to score tickets to this sold-out show were warmed up by Balance and Composure, who put on 40-minute long set filled with vigor and plenty intense songs, which at times were accompanied by growly vocals. 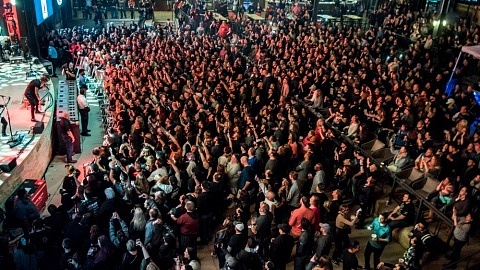 By the time 9:25 rolled around, the House of Blues had reached capacity, and all it took to send the throng of fans into a frenzy was the stage lights going dark, with the house lights quickly following. Manchester Orchestras’ fourth studio album may have dropped at the very start of April, but this wasn’t going to be a show that just focused on their new material. 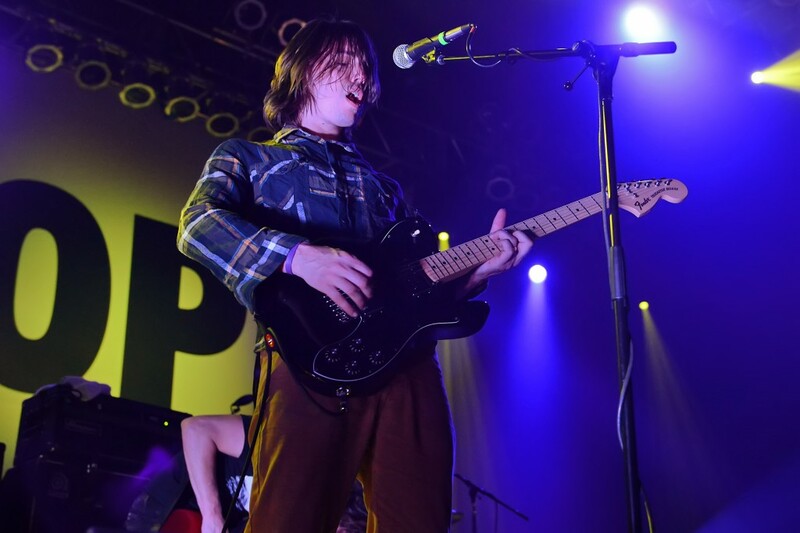 Every record was represented, and much to fans delight their 65-minute long set got underway with singer and rhythm guitarist Andy Hull playing the opening notes of “Shake it Out”. “What’s going on?” he asked during the song’s slow part. A question that was met with more roaring cheers and applause, before fans picked back up in singing right along with him. 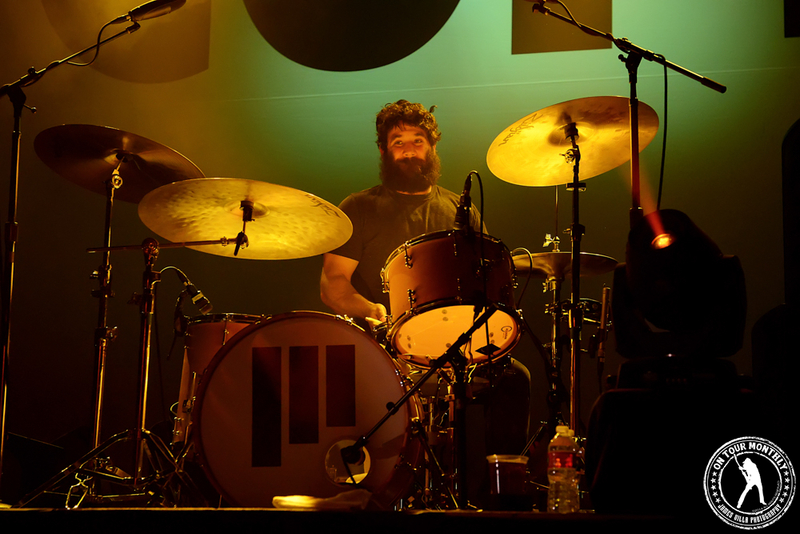 The audience participation continued on “Pensacola”, when one of the lines was left entirely up to the crowd to sing, and it was followed with another track from the “Simple Math” album, “Pale Black Eye”, which ended with Tim Very delivering some thunderous drum beats that earned him everyone’s attention. “It’s the end of the world!” fans shouted on another favorite, “I Can Barely Breathe”, and with the line, “If you knew I was dying, would it change you?”, it shows just how heavy their music can be. “Hey everybody, we’re Manchester Orchestra, and you guys sold this place out!” Andy exclaimed after they finished “Pride”. “Thanks for that!” he added, joking that they had played Dallas “A hundred and fifty thousand times”, but that this was by far their most fun headlining show in the city. That last part wasn’t a joke, and the crowd seemed to agree with it wholeheartedly. 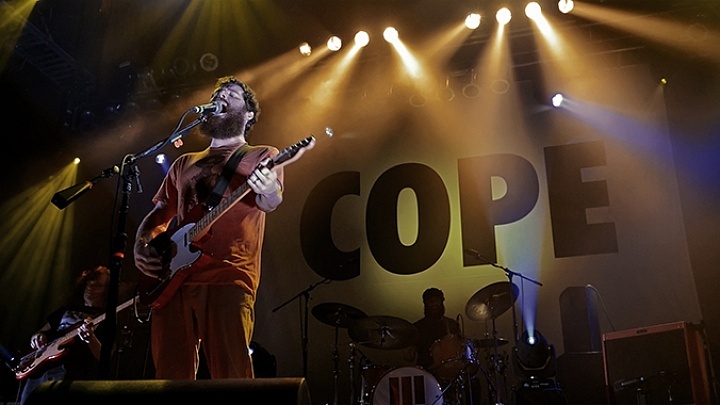 Focus then shifted to their new album, which Andy mentioned they had “not so subtly” titled “Cope”. 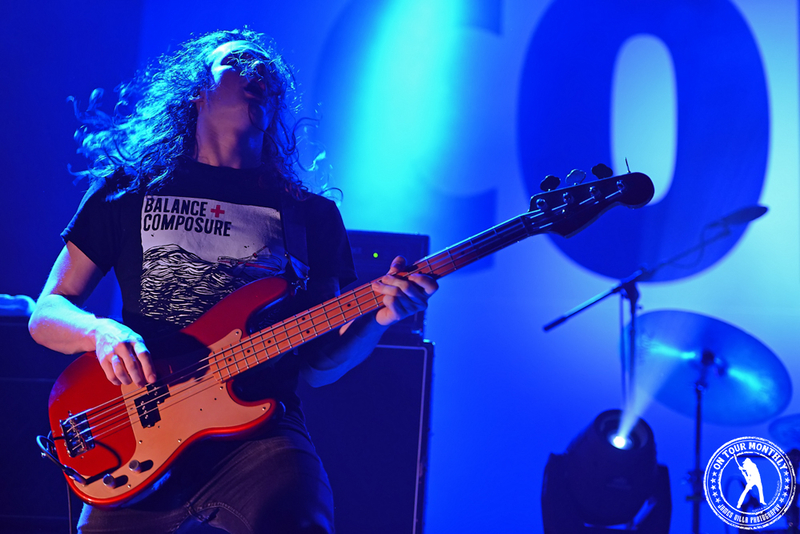 “The Ocean” was the first song they did from it this night, and the at times heavier song made good use of the extra percussion keyboardist Chris Freeman at times added, making it sound rather technical at times. “Let’s all sing this one together!” Andy said gleefully, right before “100 Dollars”, lead guitarist Robert McDowell, bassist Andy Prince and the rest of the band bled into “I’ve Got Friends”, bridging the two songs together very well. The lull of the night came in the form of “Colly Strings”, which Andy noted he had written for his now wife. After that low-key, sweet moment, it was time to liven things back up, and the roaring guitars and thick rhythm section that starts off “Cope” did just the trick. “This next part’s about to get really cool.” said Andy upon finishing that last song. Somehow, he managed to say that with sounding the least bit arrogant, and more, it was like he was genuinely excited for fans about was was coming next. Folks cheered, and some of that was soon met with a “Shut up.” from Robert. “They’re our fans.” Andy told him, before Robert confirmed he was kidding with that previous remark, by saying, “This next part is super hard for us.” They plucked at their instruments, and the simple chords were more than enough for some fans to discern what the song was, even before “Everything to Nothing” actually took shape. This last batch of songs flowed into one another very well, and practically seamless, and after “The River”, they ended with a surprising cover of Willie Nelsons’ “The Party’s Over”. They gave it a certain rock flare—at least at times—though it was also just a more relaxed one to end the night with, and even had Andy and Robert creating some nice harmonies at times. They hadn’t even exited the stage when the shouts for an encore rose up, and they lasted a couple of minutes before the quintet reemerged. “…God, this has been awesome! Thank you all so much!” Andy told the audience, words that you could tell came straight from the heart. This 15-minute encore portion focused mainly on stuff from “Cope”, and I firmly believe, even if it’s my own personal opinion, that “Top Notch” was the best thing they did this night. 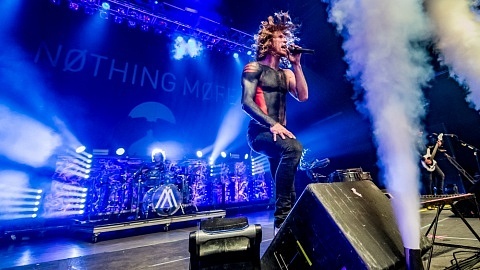 It just leaves you in a semi-state of disbelief, partly because it’s just such a raw rock song, and partly because Andy utilizes his full vocal range, nailing those gorgeous higher range notes he so often sings in, and then other times doing a bit of screaming. “The Mansion” was another cut they cranked out, and while everyone was disappointed to hear they only had one left afterwards, Andy made sure to again thank everyone. No group was excluded, like the “girlfriends who came with their boyfriends”, even though they might not actually be Manchester Orchestra fans themselves. Like I said, no one was excluded, and it didn’t matter how you might have ended up at the House of Blues this night, if you were there, Andy made it known that they were grateful for that fact. “God bless you, and we’ll see you next time.” he told everyone before they wrapped up the night with “Simple Math”. I’m sure plenty of the people in attendance this night had seen Manchester Orchestra before, but I also know there were plenty there who may have been fans for a few years, but were just now getting their first live experience from the band, and they made sure no one left disappointed. The show was spectacular with loads of energy, and a large degree of skill, to the point they made their entire time on stage look completely effortless. The light show made it all the better, and while it was just the usual stage lights, it was all timed perfectly to further accent the music. Then you had that banner that hung behind them, with the word “COPE” printed on it, which may sound simple, though it was somewhat thought provoking. 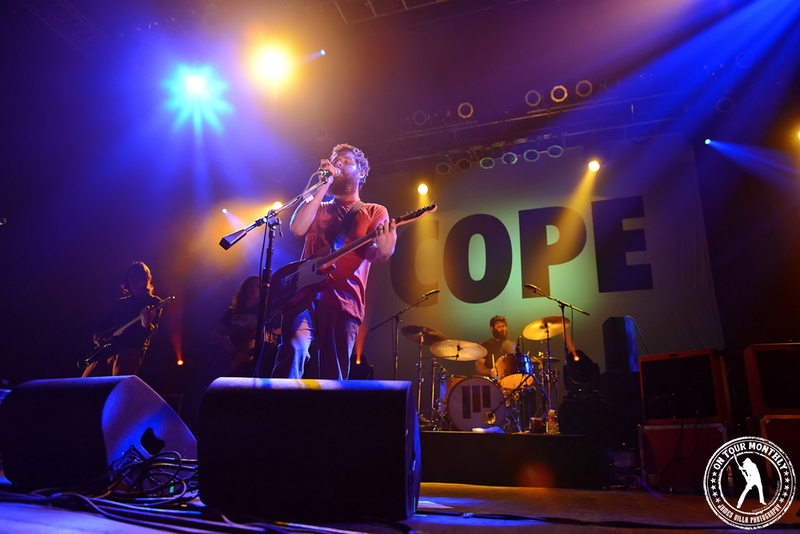 Manchester Orchestra managed to make this concert of theirs a true experience for their fans, and one that should hold all of them over until the band can make it back to Dallas.